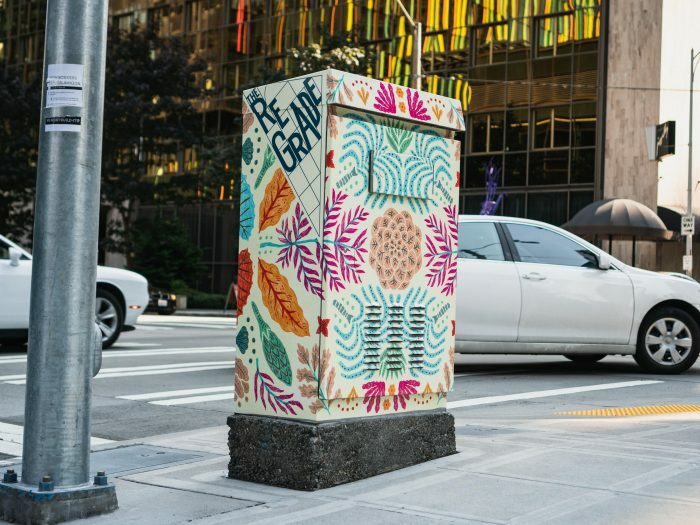 Dingy grey and green traffic signal boxes dot the landscape of all cities. 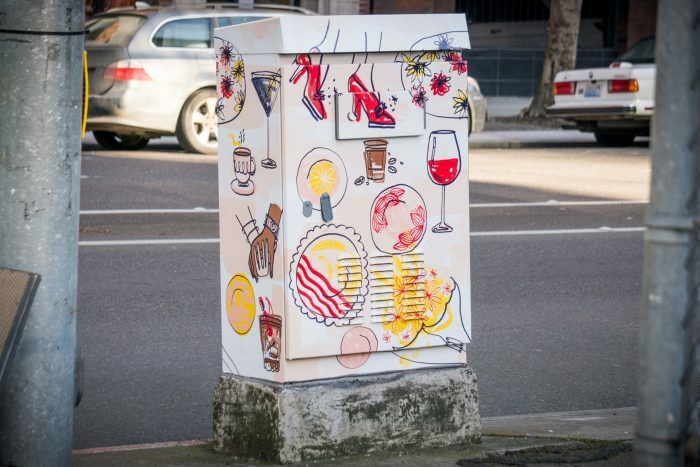 But who says they have to be boring? 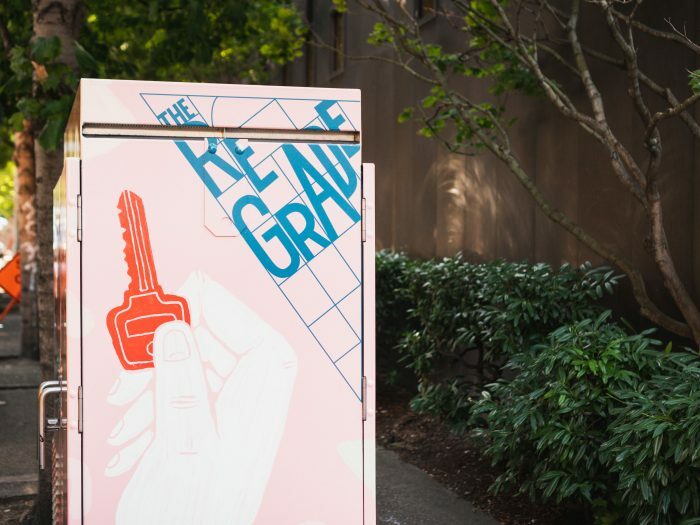 We believe the boxes are a great medium to add three-dimensional excitement to unremarkable sidewalks. 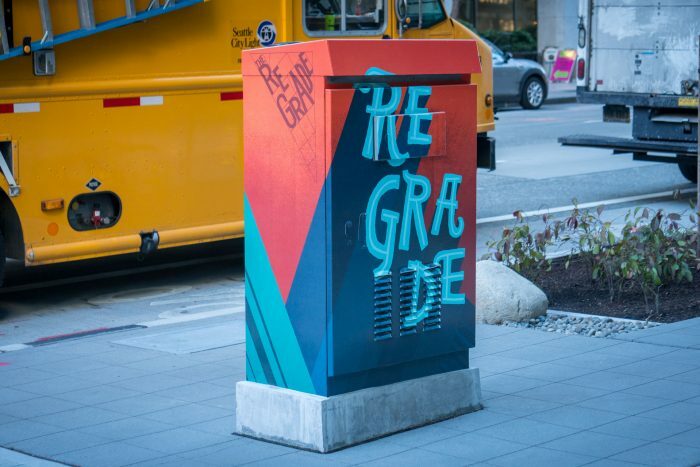 In downtown Seattle, DSA has wrapped 17 boxes in the Denny Regrade area with colorful, vibrant designs inspired by local characteristics and input from key neighborhood stakeholders. 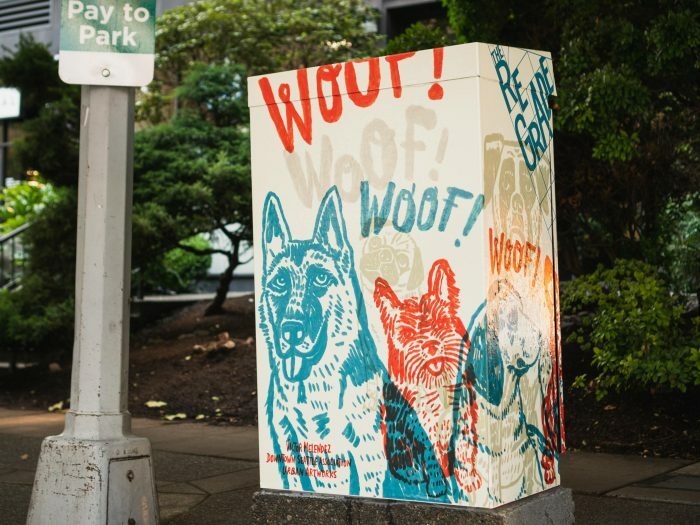 Similar signal box wraps can be seen in other parts of Seattle and have decreased the need for graffiti abatement while giving artists an additional platform for their work.